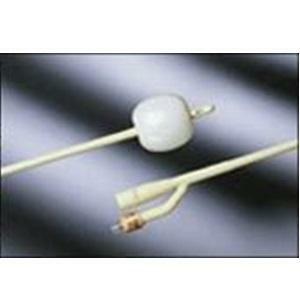 A Foley catheter is a hollow urinary drainage tube that is held in the bladder by a small, water-inflated balloon. It is also known as an indwelling catheter designed to remain in place over time. The difference between a Foley catheter and a straight catheter is the balloon. A “specialty” Foley catheter is determined by the tip configuration, number of lumens or channels, and the size of the balloon.